Our brains communicate with our entire body via our spine, which is the major thoroughfare for the central nervous system. If the spine is misaligned, every system of our body is affected. The field of chiropractic is focused on restoring health to the spine mainly through physical adjustments. Jerome Greenberg, Doctor of Chiropractic, has been practicing in New York City for 35 years. He was formerly the director of the New York State Chiropractic Association and editor of the Exercise For Men magazine. He explains what we can do to keep our spines in peak condition. Answers have been edited for clarity and grammar. Epoch Times: What misconceptions do you find people have about their spines? Dr. Greenberg: The biggest misconception people have about their spines is that if you leave them alone, they will be fine. Try doing that with your teeth. Don’t brush them for a few years and see what happens. Car accidents, sports injuries, and even walking on two feet can cause the spinal segments to go out of place. If not put back in place, you will create damage at that level causing pain, stiffness, numbness, or dysfunction of the organ or glandular system that is connected to that nerve. Epoch Times: As a chiropractor, what impact do you see our sedentary culture having on our spines? Dr. Greenberg: The worst impact I have seen over the past 35 years is the use of electronic devices and the abnormal mechanics this creates in the neck and upper back. Most of us tend to migrate our heads in the direction of the computer screen. This eventually causes a permanent postural distortion, which will wear out the discs in the base of the neck. Epoch Times: What can we do to minimize this distortion? Dr. Greenberg: You need to put the screen at a very specific angle to the head and not lean into it. Epoch Times: Are there certain kinds of exercise that take an extra toll on the spine? Dr. Greenberg: If the spine is in alignment, you can do anything. If it’s out of alignment, you will do damage. That is why most professional athletes and ball clubs have chiropractors on staff. As of 1976, the U.S. Olympic medical staff has chiropractors. Epoch Times: Would you recommend foam rolling to keep the spine healthy? Dr. Greenberg: Foam rollers are fine unless they cause pain. Then you should consult with a chiropractor. Epoch Times: Do you have any exercise tips for keeping the spine healthy? Dr. Greenberg: Hanging upside down or inversion therapy opens up the joints and helps pull fluid into the discs. Bats are the only mammal that does not develop arthritis. Maybe we should take a tip and hang upside down more often. Epoch Times: If someone does headstands, is this the same as hanging? Dr. Greenberg: Headstands do more harm than good. They compress the discs and could cause serious neck problems. Epoch Times: How do you diagnose problems in the spine? Dr. Greenberg: I always begin a series of spinal adjustments with a digital X-ray to know where we are starting from. Epoch Times: Are people often surprised by what the X-rays show? Dr. Greenberg: Yes! They have no idea how much damage they have caused. It’s like driving the car with a misaligned chassis and not noticing that your tires are ruined. 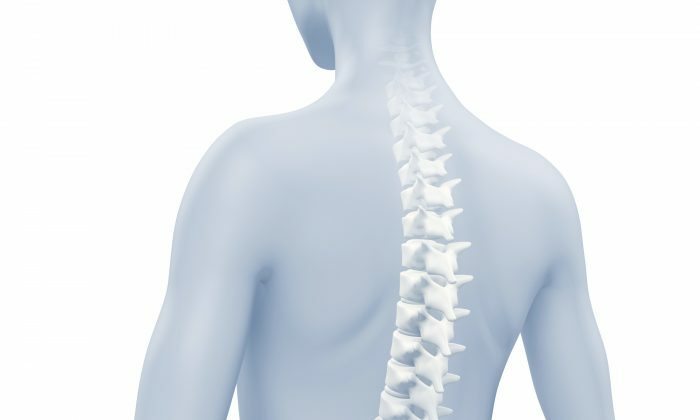 Epoch Times: If someone were to make two changes in their lifestyle to benefit their spine, what would those be? Dr. Greenberg: See a chiropractor and stand up straight. Epoch Times: Does insurance usually cover chiropractic treatment? Dr. Greenberg: Yes. I was instrumental in writing and passing a bill in 1998 that mandated chiropractic coverage in all insurance plans in New York state. Chiropractic was founded in 1895 by Daniel David Palmer who noticed an imbalance in the alignment of the custodian in his building, Harvey Lilliard. Palmer had Lilliard lie on a wooden bench and administered the first chiropractic adjustment. For the first time in 17 years, Lilliard could hear. He had been deaf. Although this was the first spinal manipulation in modern times, there are many illustrations of ancient civilizations administering what appear to be spinal adjustments.